Picture this: it’s 1869, and you’re dead. 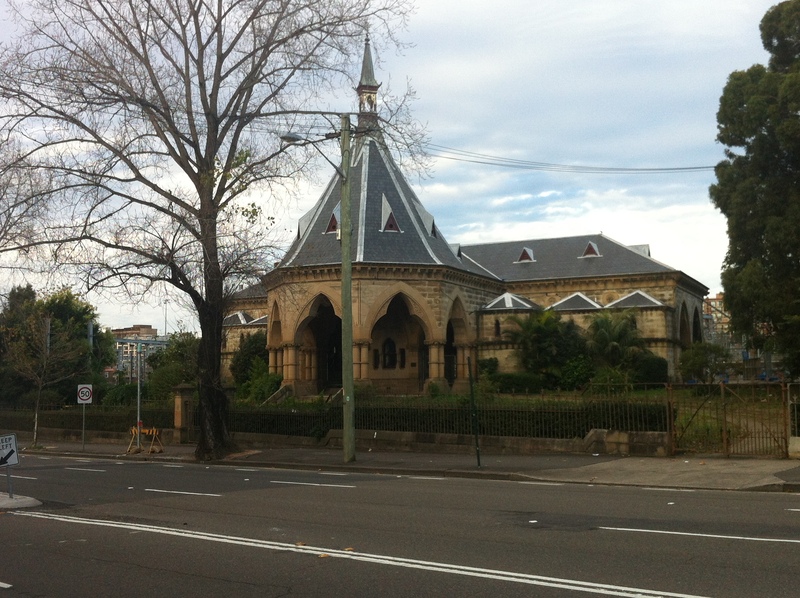 The funeral’s at Rookwood Cemetery at 10am, and you’re in Chippendale. It’s 9:30am. You have no money. What to do? How will you get there in time? Mortuary Station, 1871. Image courtesy State Library NSW. 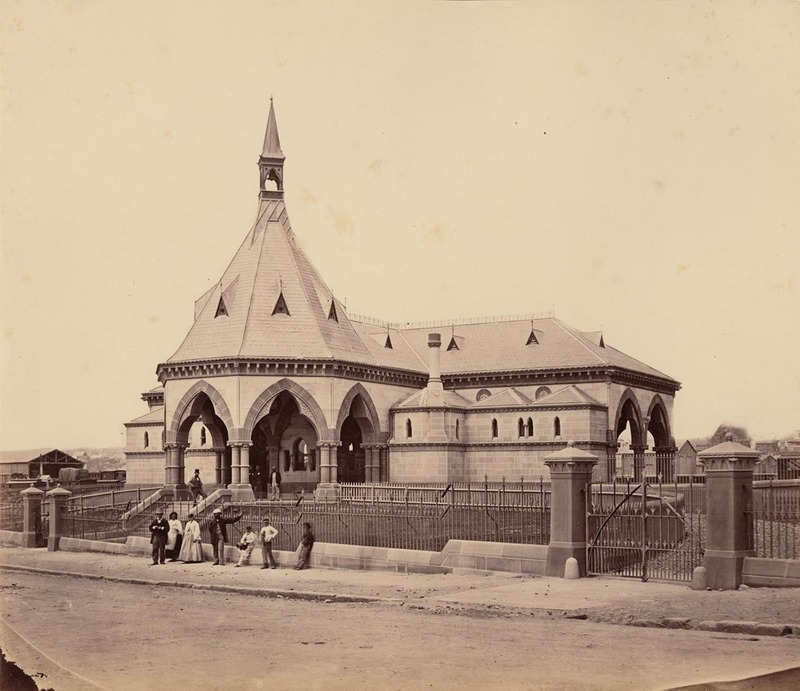 At the time of its construction, the Mortuary Station was adjacent to the original Central Station, then known as Sydney Station. 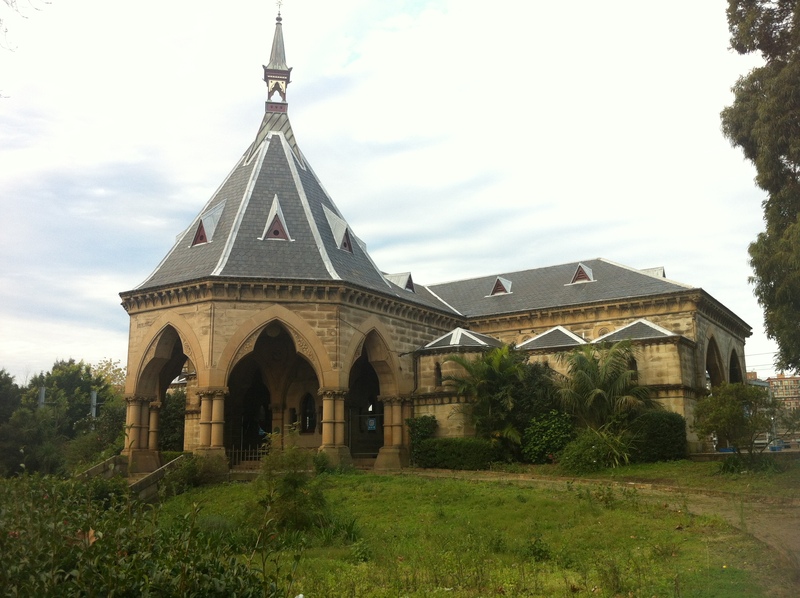 Despite a misleading mural beside the station on the train track side attributing its design to Florence Mary Taylor, Australia’s first female engineer and architect born ten years after its completion, it was in fact designed by colonial architect James Barnet. 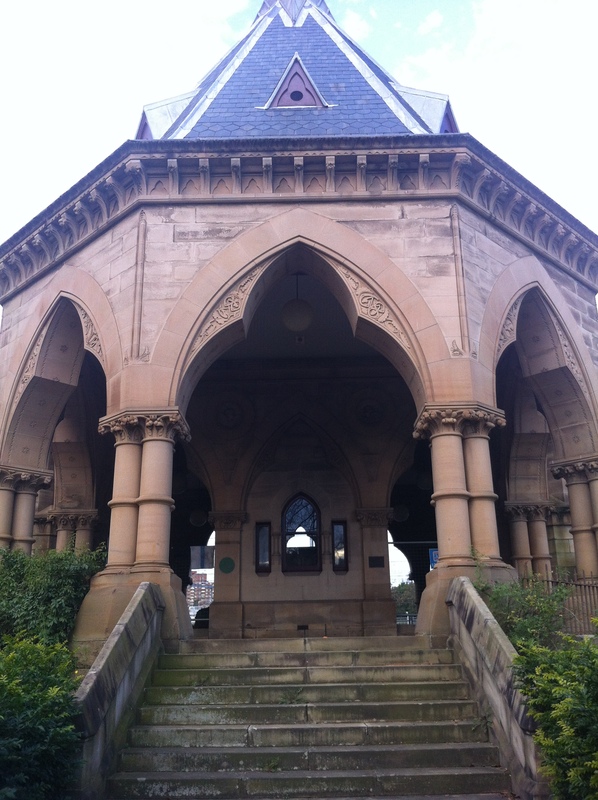 Barnet also designed Mortuary’s sister station at Rookwood, but more on that next time. The sombre design is perfectly suited to the task performed by the station, and the gothic detail is fantastic. Standing before it, you can only imagine how many mourners boarded trains bound for their loved ones’ final stop. 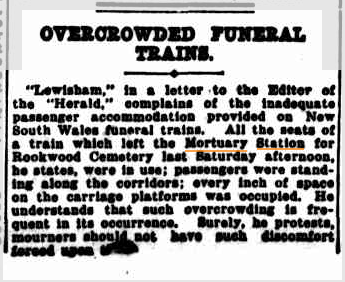 Funeral trains would depart from Mortuary Station each day for either Rookwood, Woronora or Sandgate cemeteries. By 1927 the cost of a ride was around four shillings (roughly 40c); corpses traveled for free. 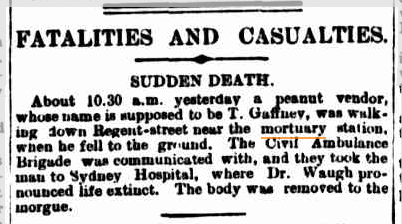 Singleton Argus, 10 Mar 1925. Barrier Miner, 13 May 1930. Spooky. Gotta wonder if these guys ended up on one of the trains at the station. Speaking of spooky, it is alleged that the station is haunted. Further rumours suggest that a building across the road once operated as a mortuary itself, and that there exists a tunnel beneath the road connecting this building to the station. Evidence is pretty much non-existent, but if you know more, let Past/Lives know. Mortuary Station, Newtown, 1965. 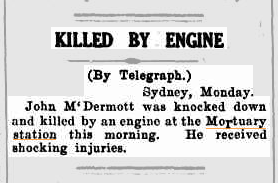 Image courtesy sydneyarchives.info. 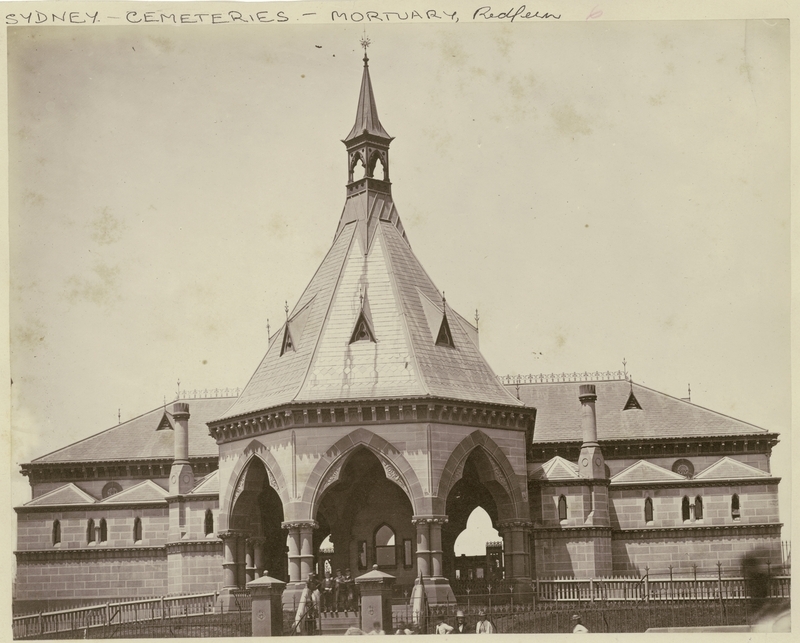 In 1875, at the height of Mortuary-mania, a junior version of the Mortuary Station was set up at Newtown to provide a starting point for mourners unable to reach the city. It was in keeping with the design of the original, but didn’t have the staying power. It was demolished in 1965. Overcrowded trains aren’t just a modern problem. 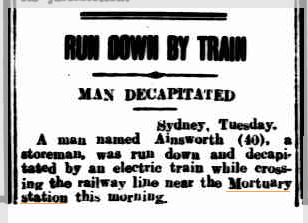 Anyway, in 1938 the Mortuary Station closed and the cemetery services departed from Central instead until they themselves ceased operation ten years later. 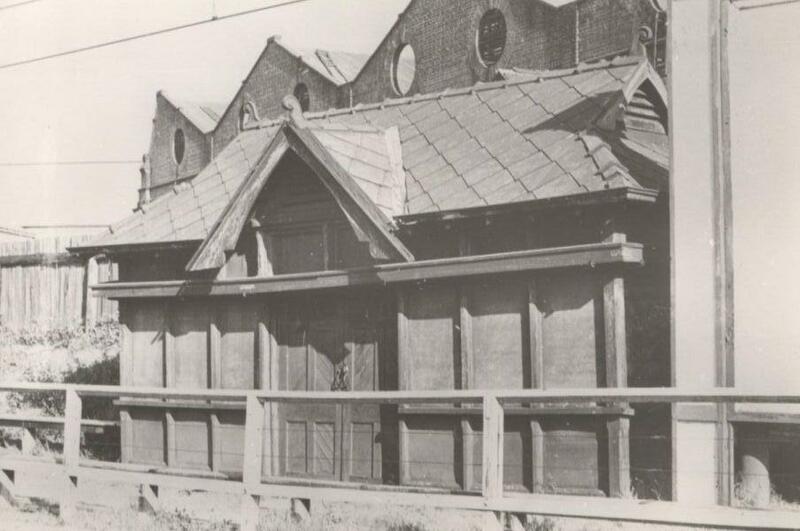 Not long after its closure, the Mortuary Station was renamed Regent Street Station and used for dog trains, which took dogs to races in Wollongong and Gosford. I’d like to think corpses could still travel for free. Since 1981 the station has been restored a number of times. In 1986, it became the site of a pancake restaurant: Magic Mortuary. Four train cars were stationed beside the platform, and hosted meals, live shows and a gift shop. Thankfully, this grotesque display only lasted three years. It’s currently undergoing further refurbishment since those graffiti scallywags are always tagging it, but an optimistic sign out the front expects refurbishment to be completed by the end of 2011! Hope so! The Mortuary Station’s a strange, jarring sight along the changing face of Regent Street – across the road lie the remains of the Kent Brewery and the empty shells of the pubs that used to surround it. 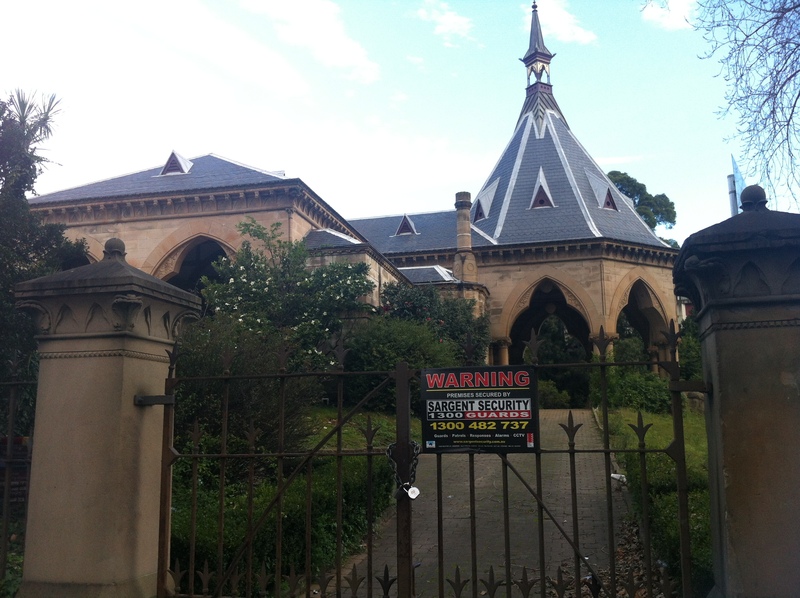 It’s heritage listed, but so was the Sharpie’s Golf House sign. Nothing lasts forever, and it’s only a matter of time until the station itself goes for that last ride. Fascinating relic of a structure, such as it is, it is modern interest which will hopefully shed salvation on such treasures of our past. Thank you sincerely for keeping it alive! Though it is the nature of our existence, I can not help but preserve my sentimental attachment towards old bricks and beams. Keep up the good work!